Thanks Magnus! Glad you enjoyed walking around my new "Plastic Air Force" member. Sorry for the delayed reply, but I've been at the expo in Basel/Switzerland over the weekend and returned yesterday evening. Torsten! Another beauty! And thanks for sharing that video! Thank you, Terri! I'm glad you like it. Very nice, Torsten! Very clean, neat finish. Thanks for your feedback, friends! Much appreciated! Chris, you are right. 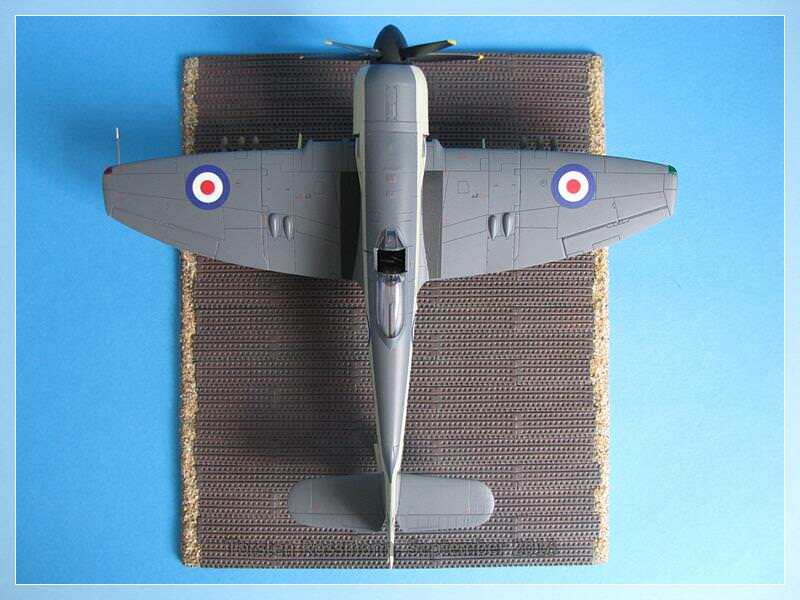 Since Airfix got a new owner and was "refurbished" they have brought out some excellent kits and I have built a few of them over the past few years, starting with the Spitfire Mk. 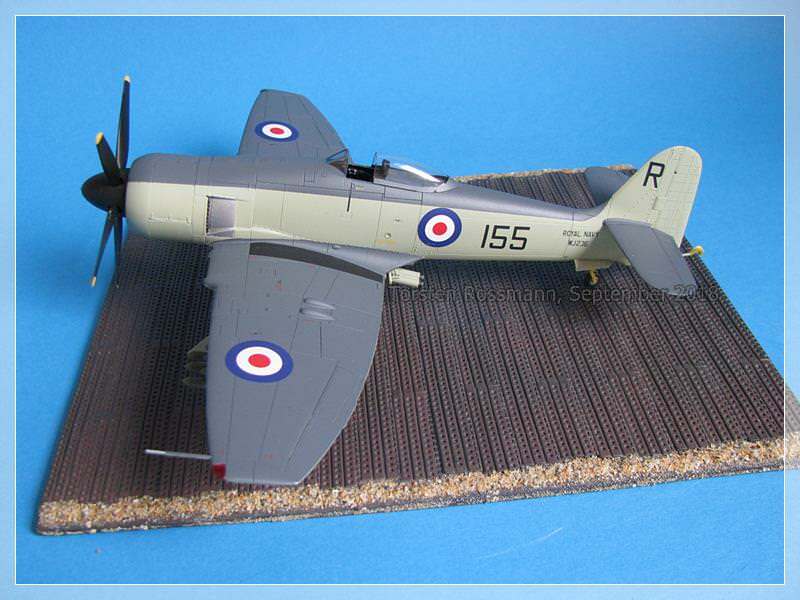 XII, then their BP Defiant, last year the Hurricane Mk. 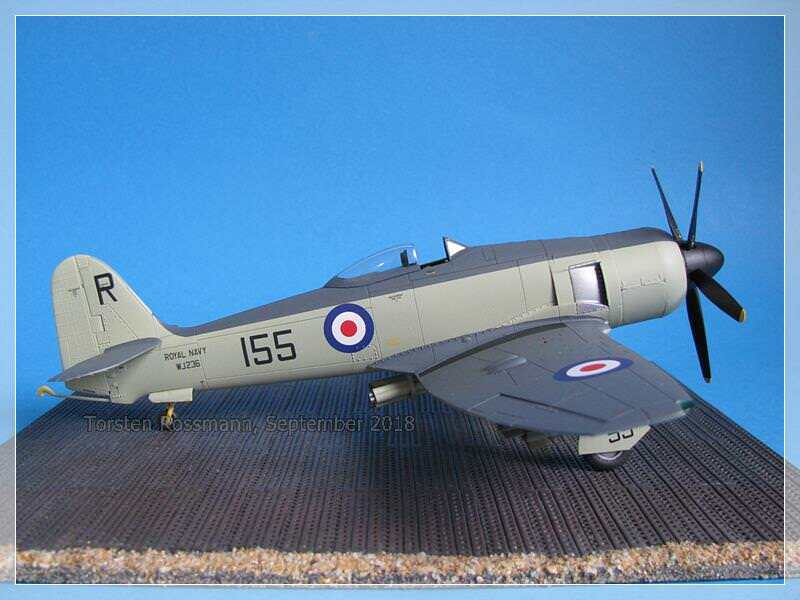 I and now the Sea Fury. 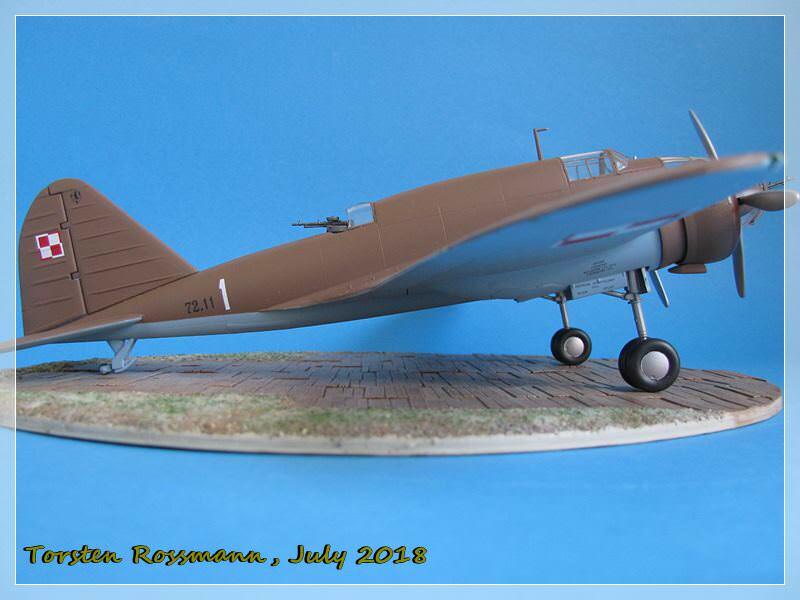 Still have the "Night Defiant" in my stash which is reserved for the RAF 100 Campaign. Have built also some quarterscale cars and trucks like the Bedford MWD and the Albion Refueller. 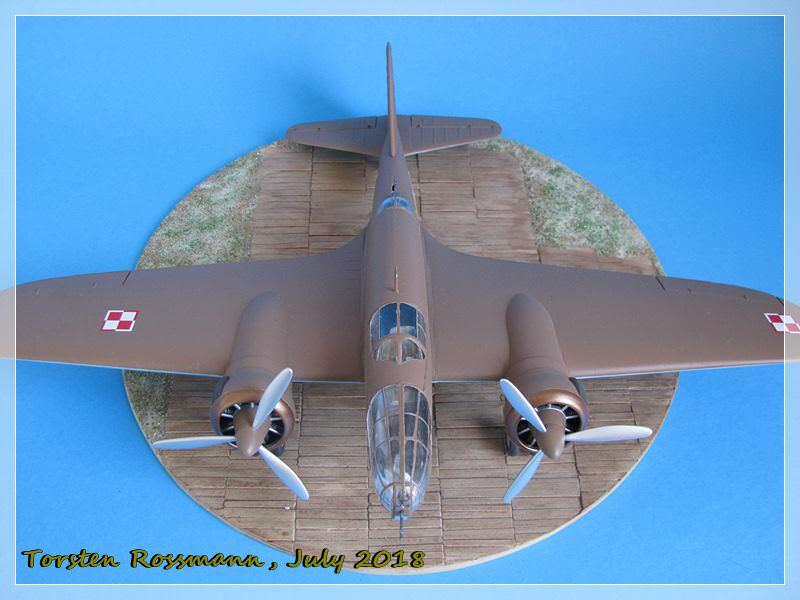 Now I'm waiting more or less impatiently for their new Blenheim Mk. I. I got news from my LHS that the kit is scheduled for November over here. 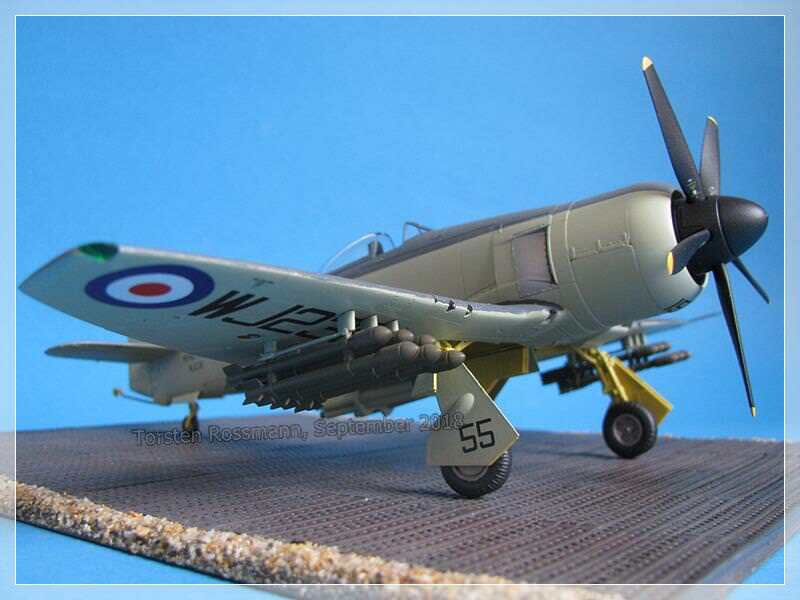 Oh and this is a video of the Sea Fury in RAN colours at the Hahnweide Festival in 2013. I've seen exactly this display but from another position. And play it loud! 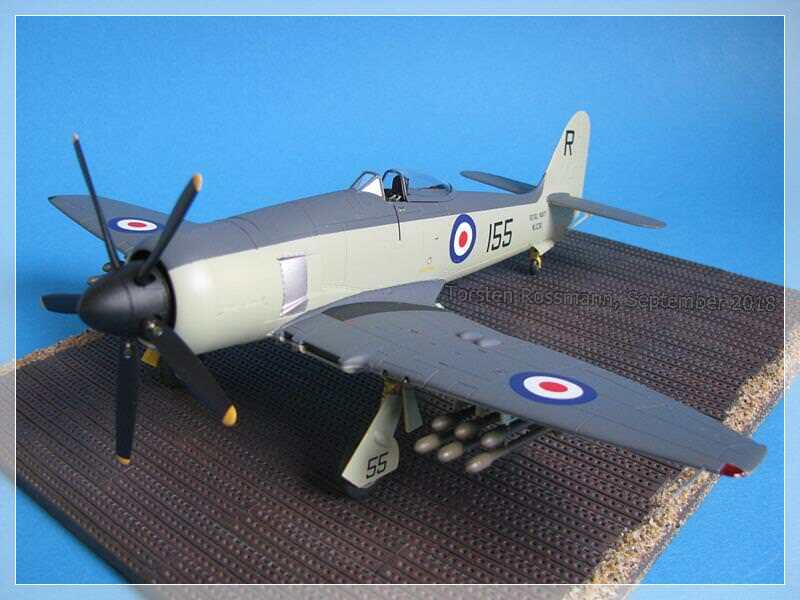 Love the Sea Fury buddy! Loving the museum quality finish and I enjoyed following along with your build. Got a real soft spot for this particular aircraft it's just one hell of a brute! 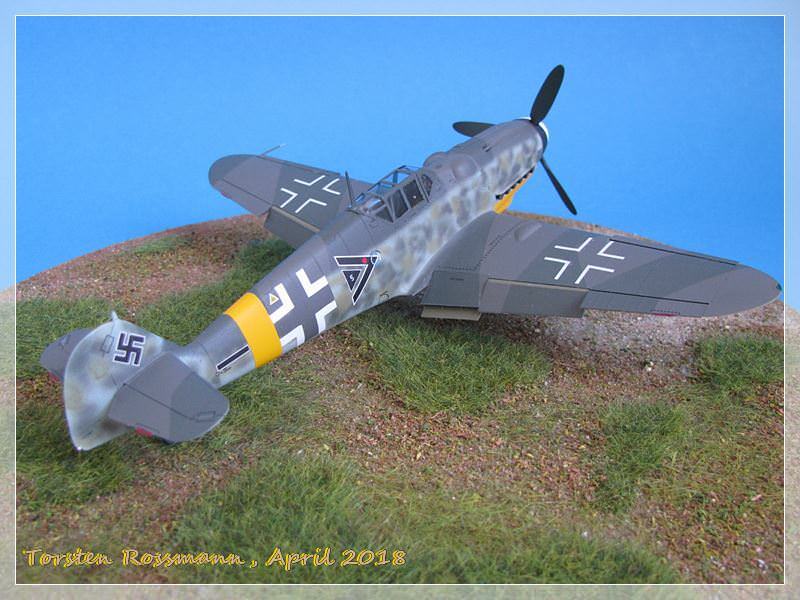 Airfix has certainly produced some outstanding kits recently which are gaining an enviable reputation I'm glad this build was no exception. 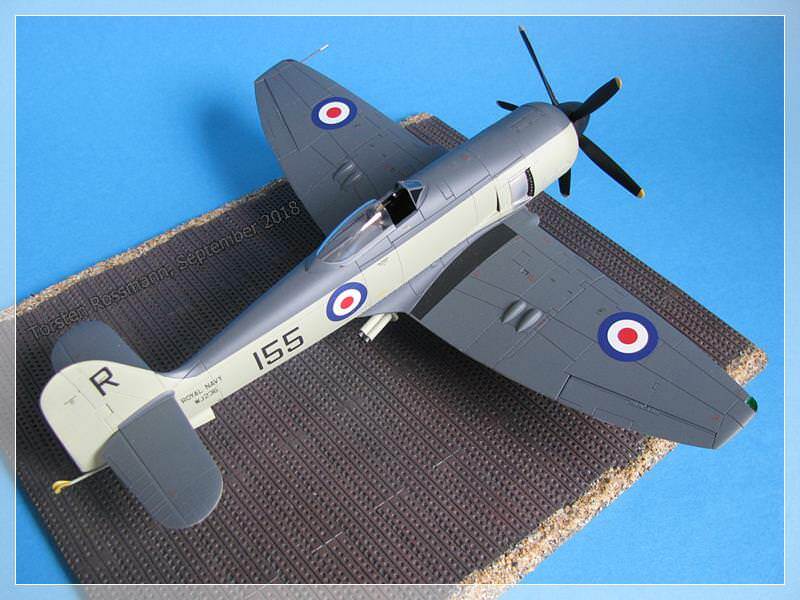 Airfix certain has a winner with the Sea Fury. Your Museum quality finish as usual is flawless. Well done my friend, very well done. .... the painting is not very difficult but I used a lot of masking tape. Most of the paints I used come from Vallejo. 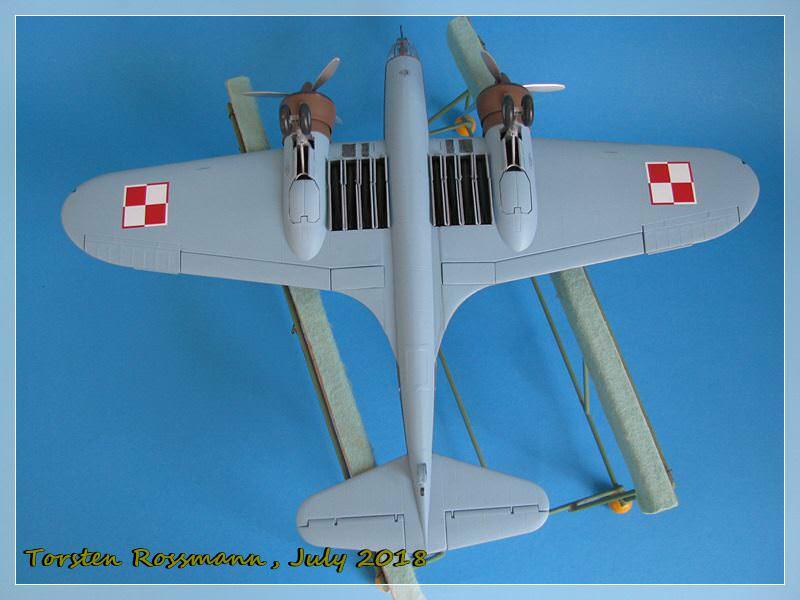 For the underside and the fuselage sides I used Sky No. 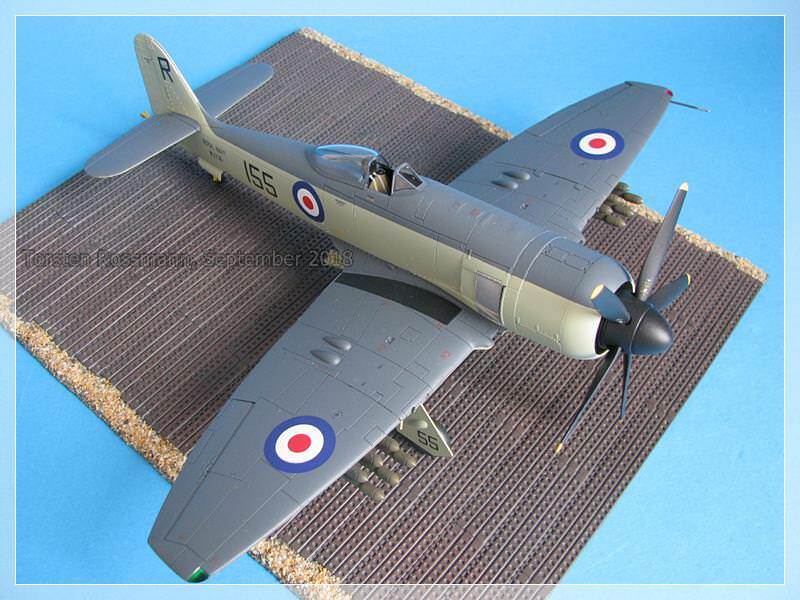 71302, for the upperside and the upper fuselage it is UK Extra Dark Sea Grey No. 71110 and for the wheel wells I have used US Interior Yellow No. 71107. The cockpit inside is painted in black and for the heat resisting plates behind the exhausts I used Steel from Revell No. 91 and added a few drops of Black to it. Final coating was again made with Matt Varnish from Marabu. 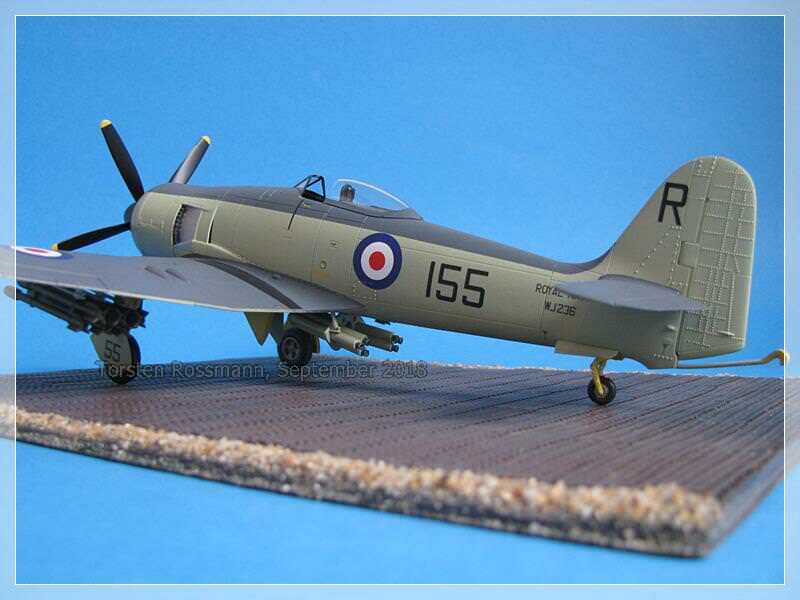 Needless to say that my Sea Fury is not weathered. 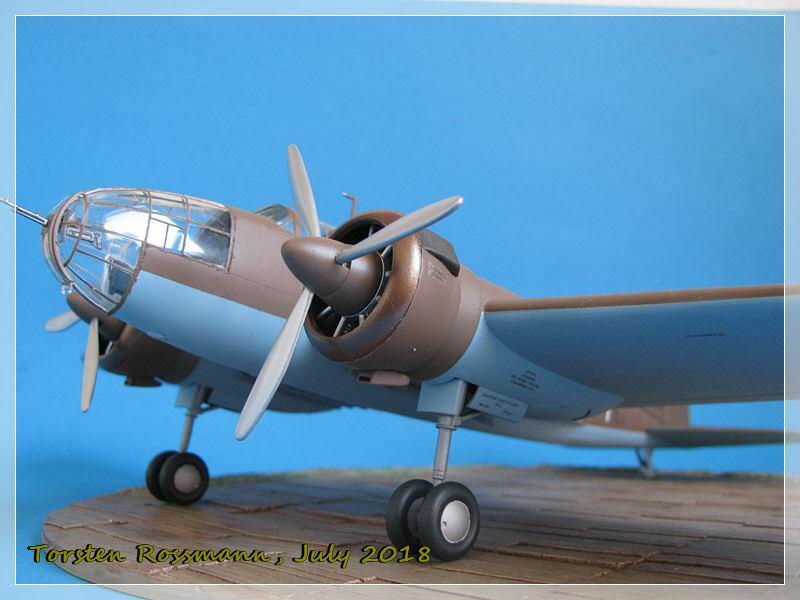 After a lot of work with the PZL 37, building this kit is pure fun and I can highly recommend it. 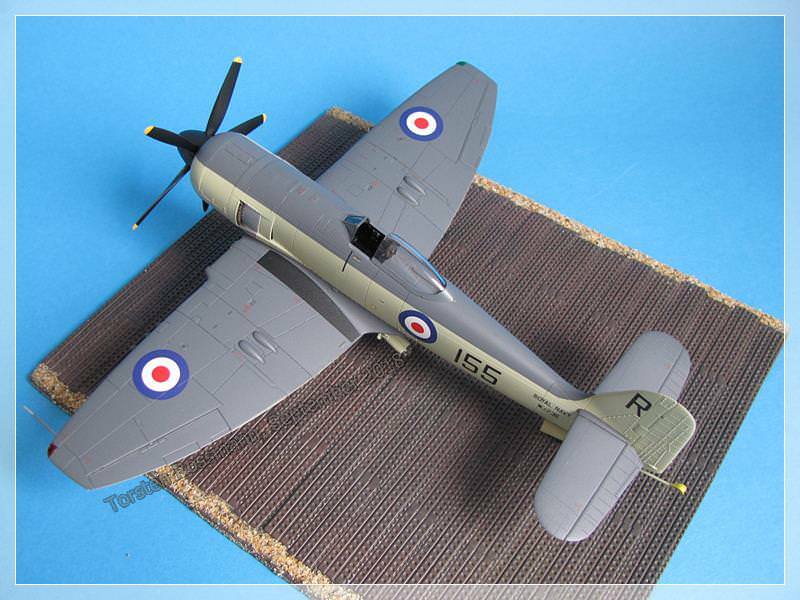 Well done Airfix! 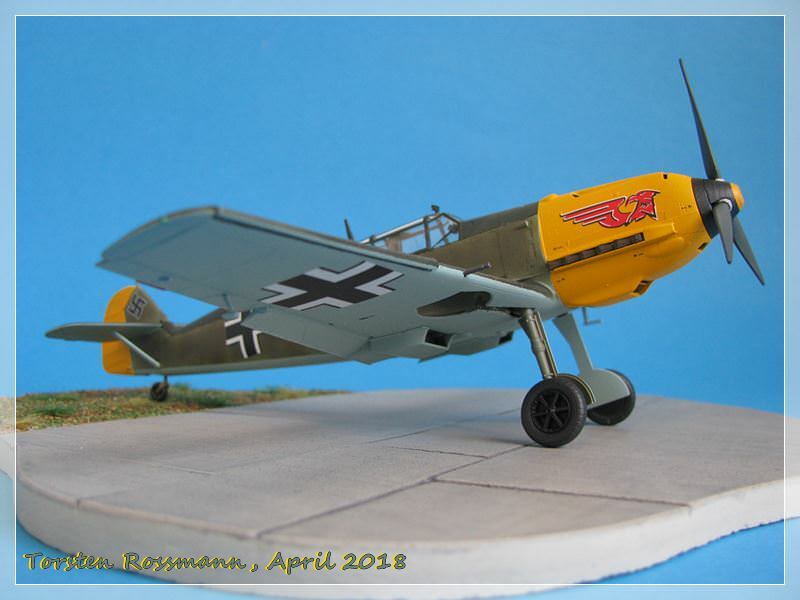 Again, I say thanks for walking around my latest model and maybe you like to have a look at building it in the campaign blog pages 2 + 3. 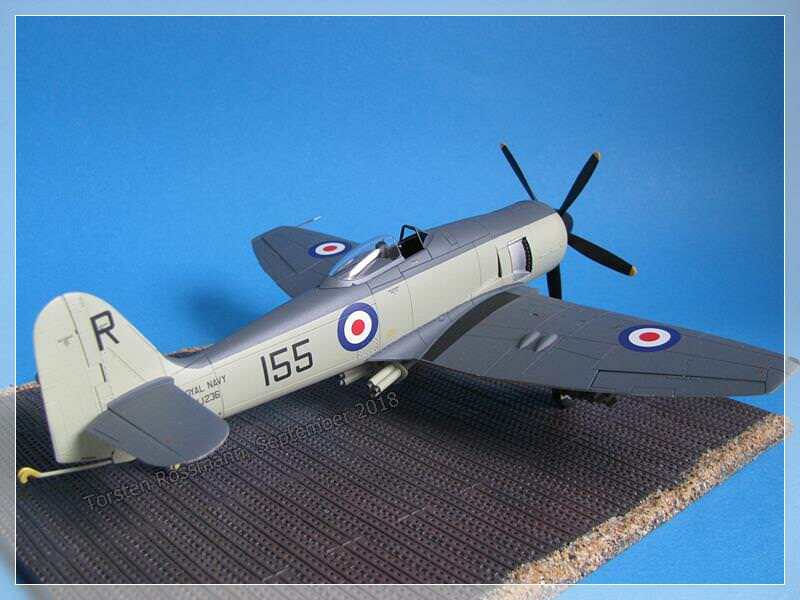 First flight for the Sea Fury will be this coming weekend to the expo in Basel. Joel, this aircraft had only a short combat career. Poland had some 60 PLZ 37 when the war broke out. The first mission was flown on the 4. September 1939 when german tanks were attacked near Czestochowa. 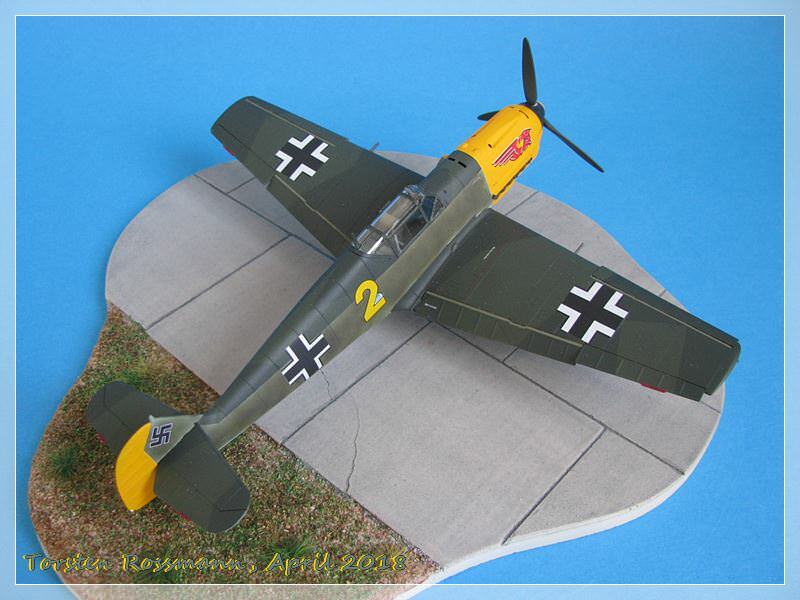 The aircrafts were used for bombing raids and reconnaisance missions. 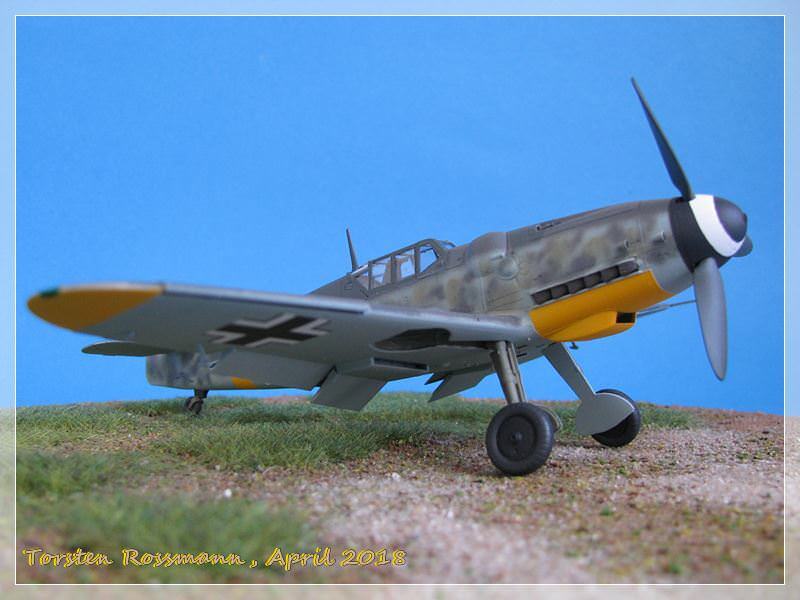 The gunners also shot down a few german fighters. Most PZL 37 were lost during the conflict. 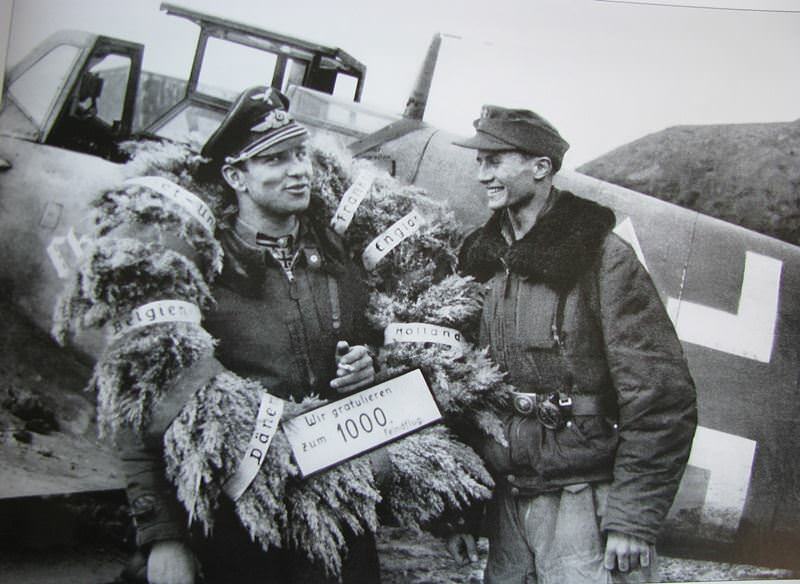 Those which survived, escaped to Romania and were taken over to their air force and used in the war against the Soviet Union. None has survived the war. 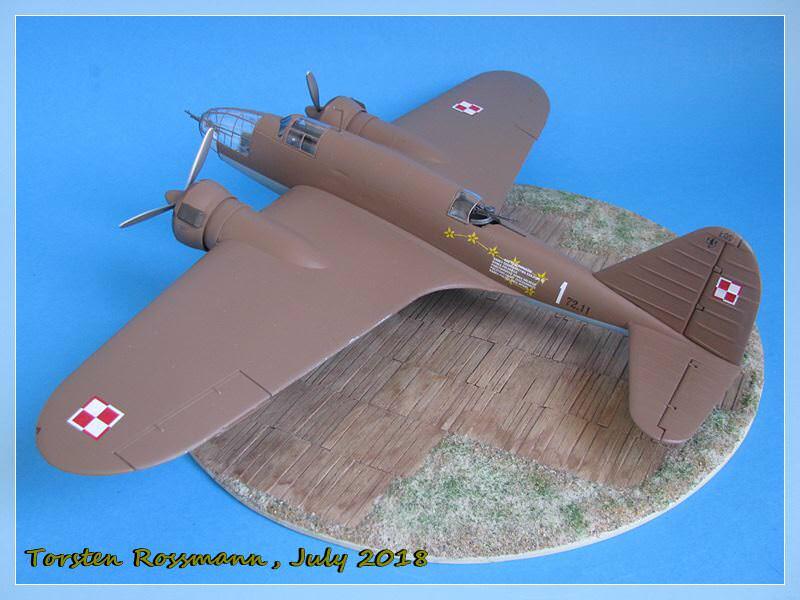 But there are a few replicas built in Poland including this beauty. 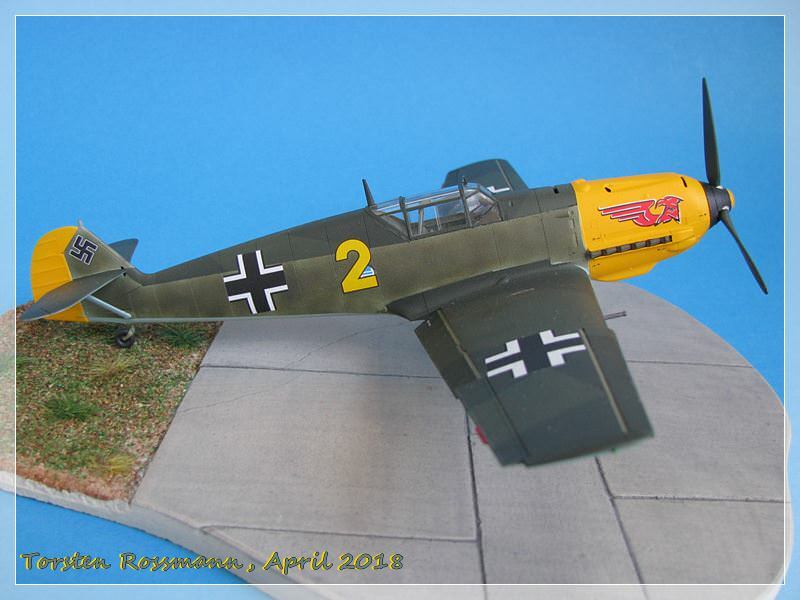 The kit really brought me to the border of my patience but as with the Henschel Hs 123 some years ago I wanted to have this kit in my collection. Never spent a thought to throw it in the bin. It's too expensive to do that. The decals were also tricky. That big decal on the fuselage with the star constellation needed a lot of patience because it broke into several pieces. To make things worse it also flipped over. But I think, I did quite a good rescue job. 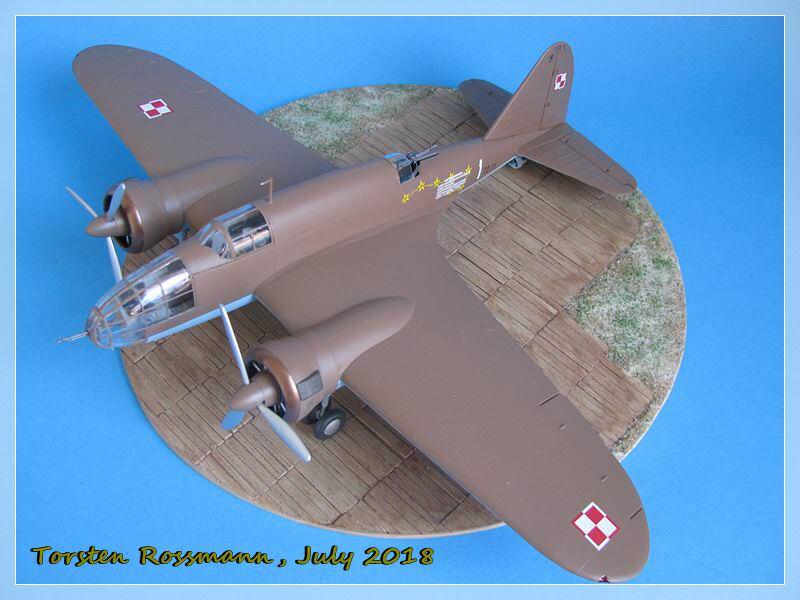 Another polish aircraft I would like to build is the PZL 23 Karas, a light bomber/dive bomber. I've checked your new build of that Porsche 917. Well done, my friend, well done! It's still a famous racing car here in Germany. I've never tried to build a civil car. Do you also plan a build blog for your Lotus or have I just missed it? Gaz, thanks also to you. 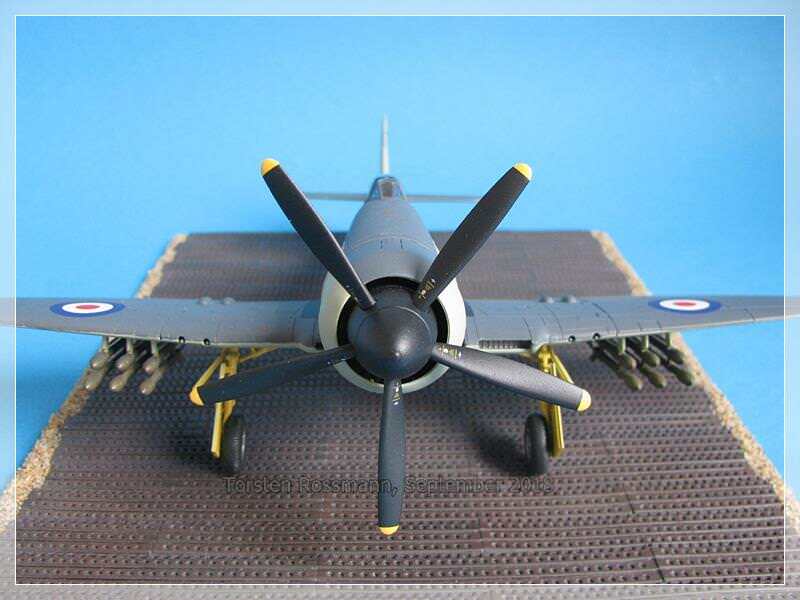 On my work bench right now lay many parts of the new Airfix Hawker Sea Fury FB 11. Just started it. 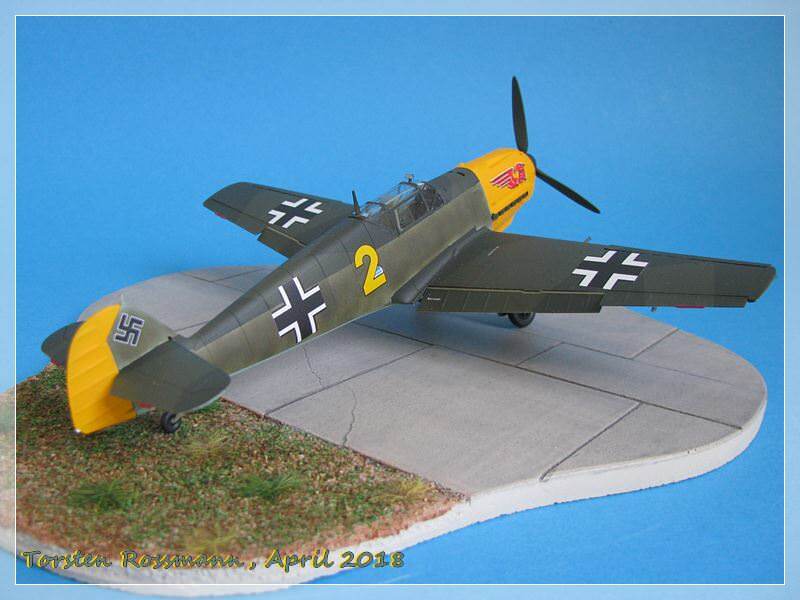 Hope it pleases me more than the PZL 37 .... What about your Barkhorn Bf 109? Very nice looking build! What's next? Now that's one nice build of what seems like a real "killer" of a kit. Up until now, I had no idea that this aircraft ever existed. And as usual, your tutorial fills my educational needs. Really a nice job on the decals, they look rather quite nice. 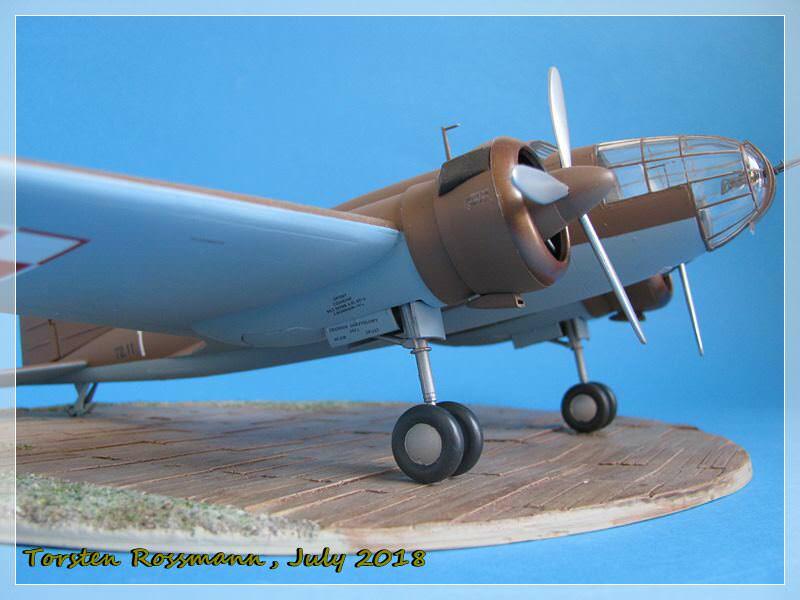 .... for the main painting I have used Brown 381 from Revell Aqua for the upperside. It's the only tone I had which came close to the real one, though it should be a bit darker. For the underside I wanted to use the same light blue I've used on my Pe-2 Peshka but noticed there is not enough paint left in the tin. So I went for Light Blue RLM 65 from Agama, which is a bit too bright for RLM 65 in my opinion but here it fits perfect. 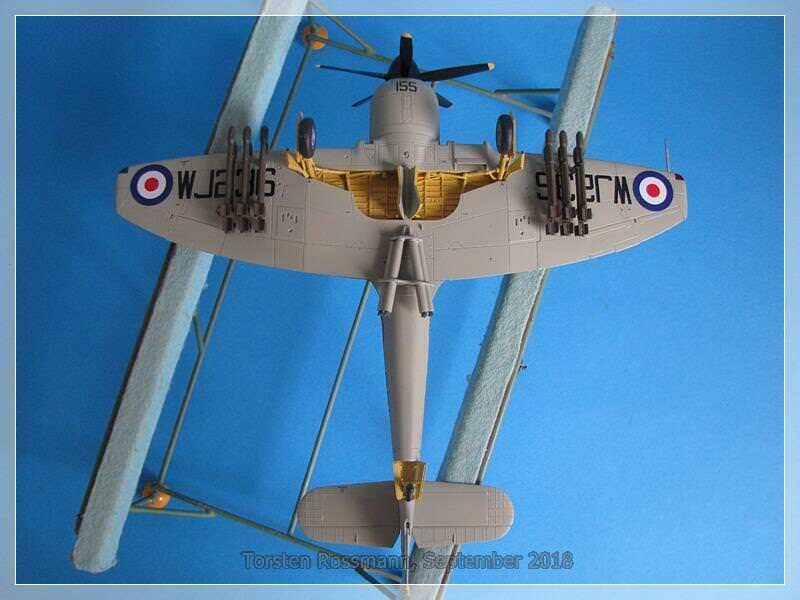 The interior, wheel wells and bomb bays are painted with Aluminium 99, again from Revell. 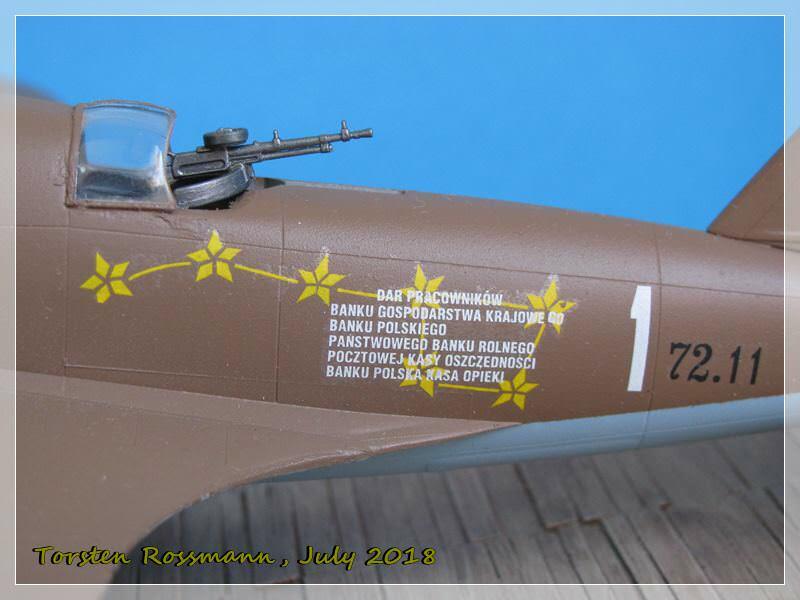 The decals are taken from the kit, which offers 3 options, 2 polish and 1 romanian. It's okay if you have thin decals but these are simply far toooooo thin and also brittle. So I had to do some surgery to rescue them. 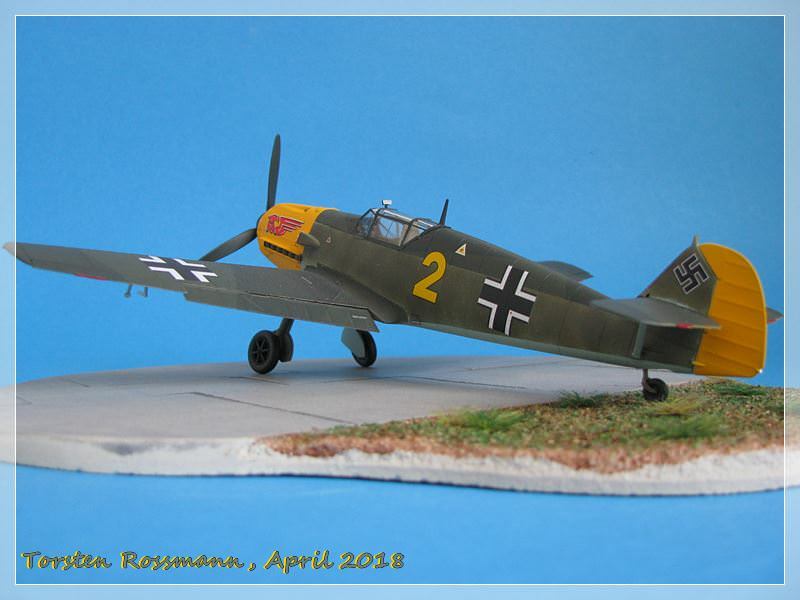 I've lost only one, the "Los" decal on the upper right side rudder. Needless to mention, that the kit is not weathered, or ....? So I say "bardzo dziekuje!" 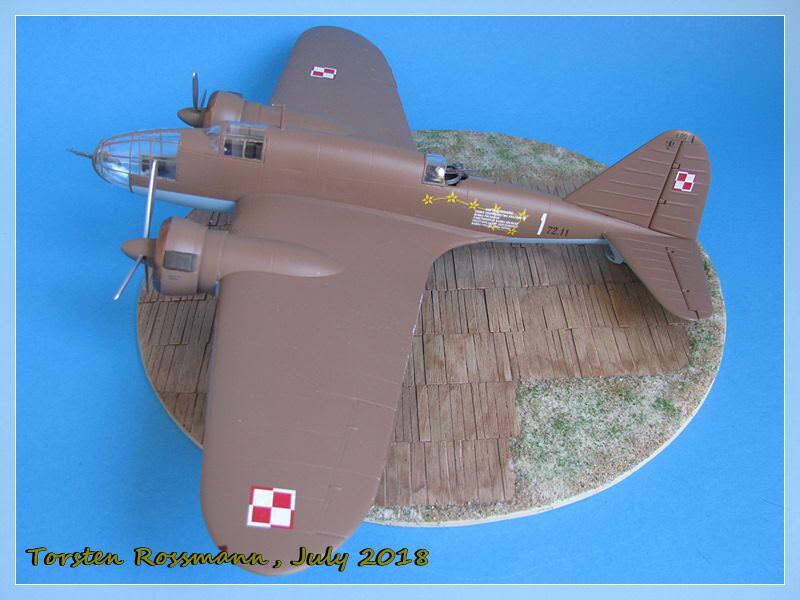 for walking around my first polish aircraft. This is sure no easy kit and needs a lot of TLC but in the end I'm happy to have it in my collection now. 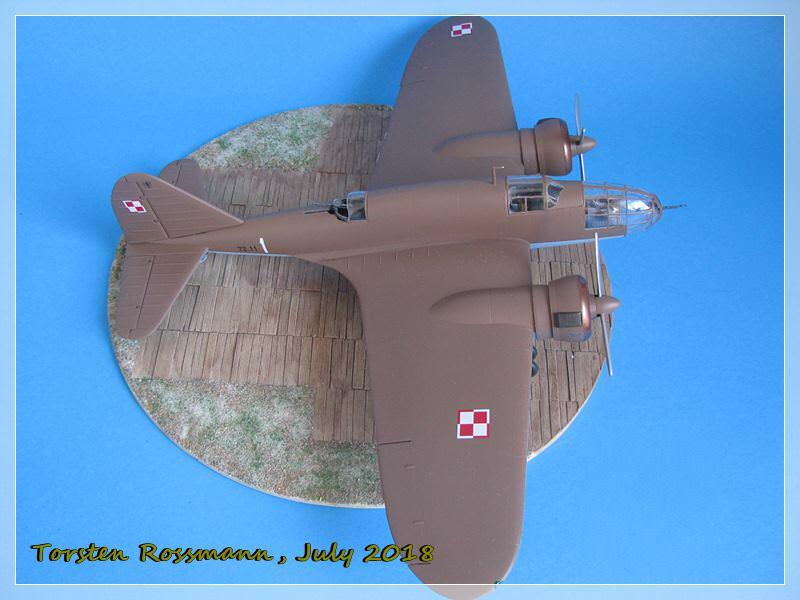 If you're interested, have a look at my build during the Bombers 2 Campaign on pages 4-6. I think I needed 9 or 10 weeks to build it. More than usual for me. But now on to new sins! 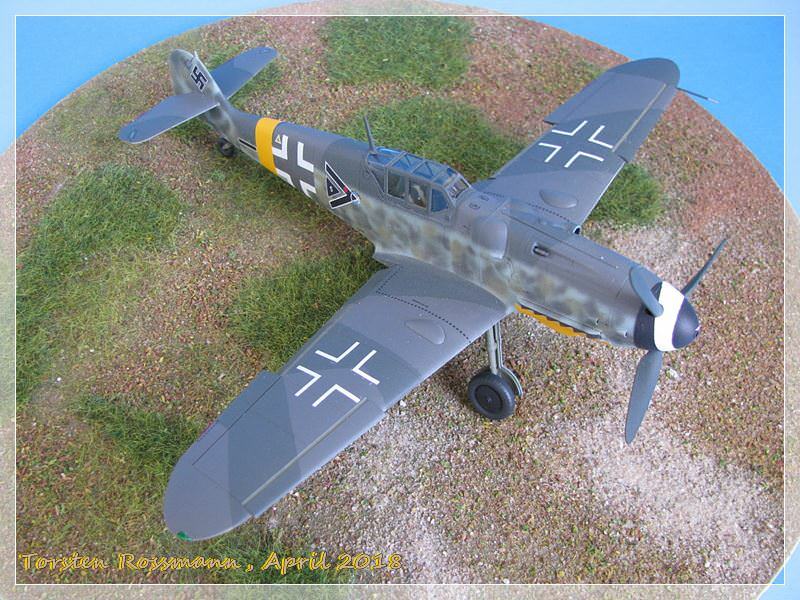 I prefer to find German markings that aren't used by many model builders. I am always looking for interesting pilots. 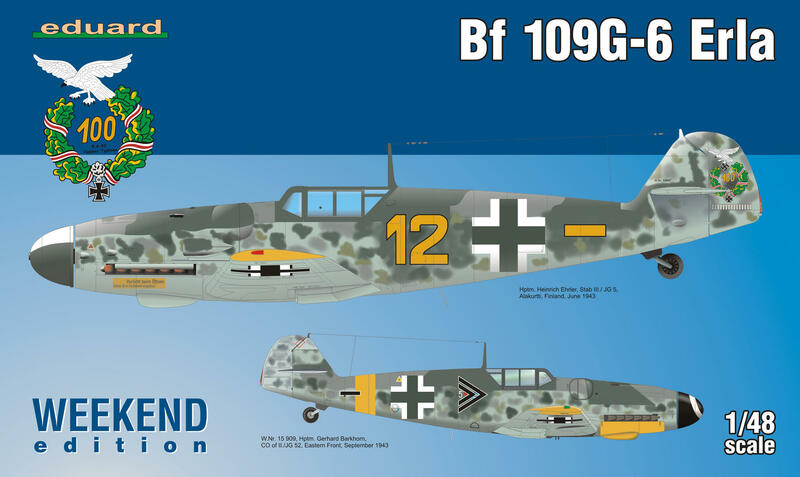 But since I'm doing a comparison build between Tamiya and Eduard, I will use their decals. Thanks again for your feedback, guys! Glad you also like this work. Gabriel, no, not really. My project is Barkhorn, not the JG 52. 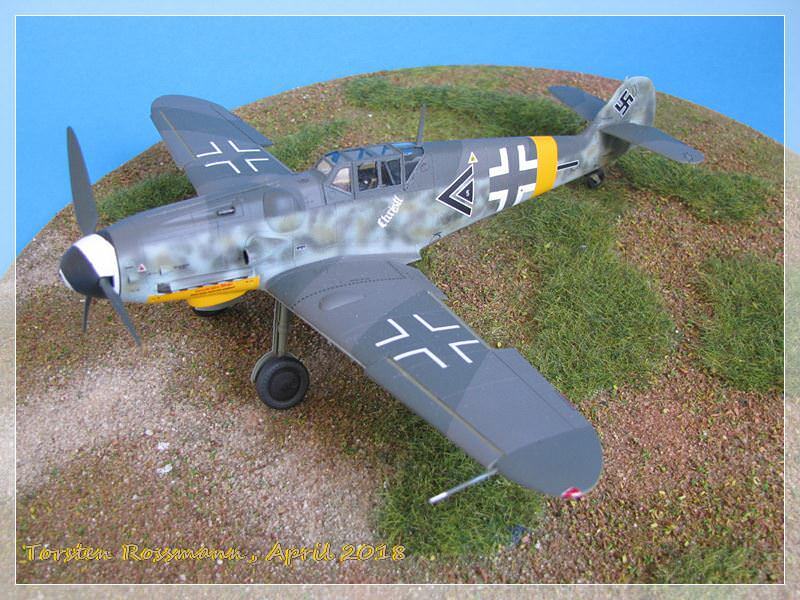 That will bring out another 12 different machines he flew, from his first "Emil", when he was still in JG 2 to the Me 262 he flew in April 1945. But that project will go over several years, I hope I can finish it one day. 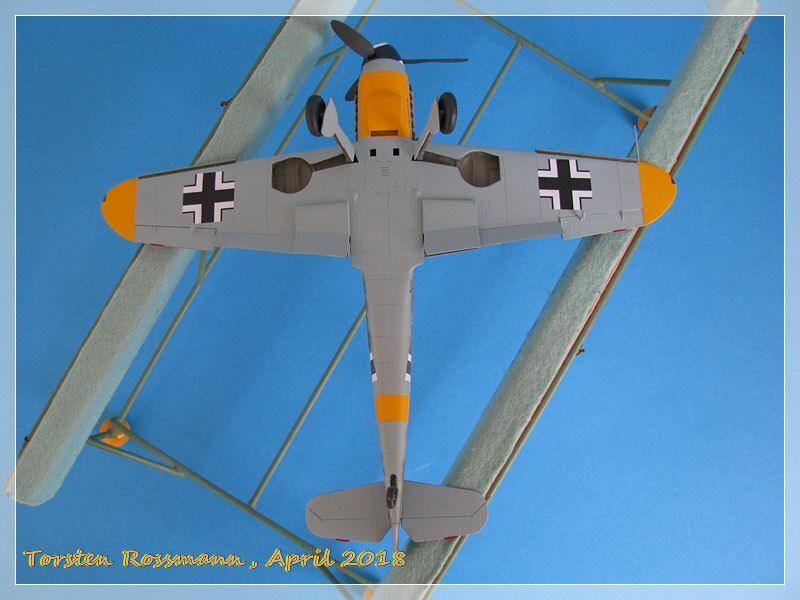 But of course I must also build a Bf 109 from Hartmann. 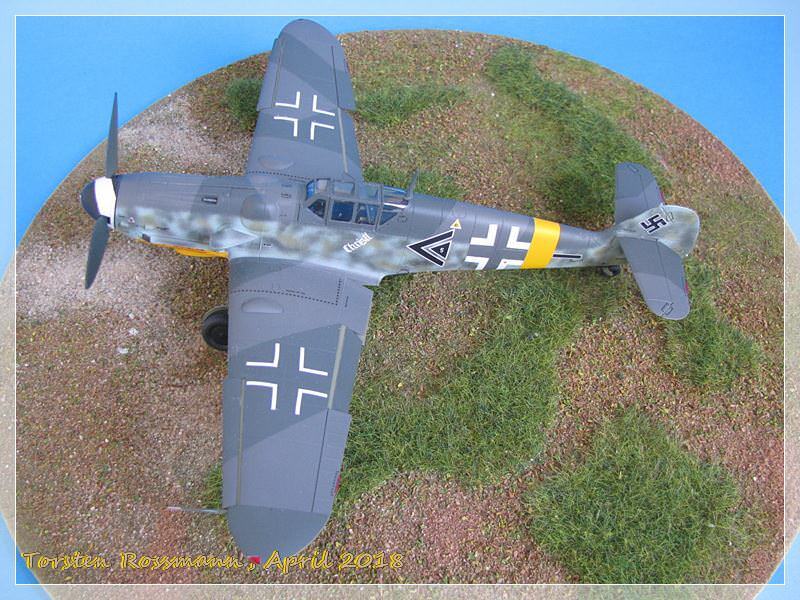 A collection of Luftwaffe planes would be incomplete without him - and Marseille. 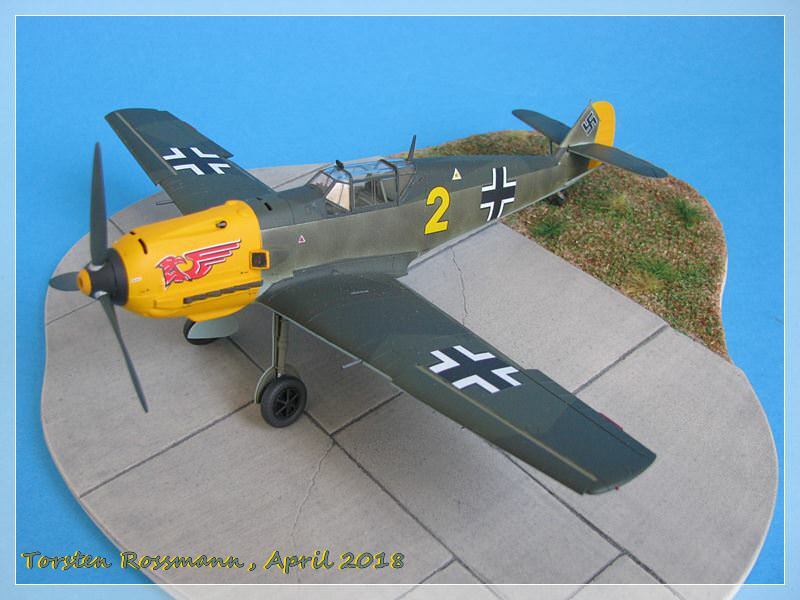 Barkhorn flew also a "Double Chevron 5". I think it was the plane before this "Chevron Triangle 5". Joel, the pleasure is all mine, it's also a joy for me. I'm glad you like the way I present my finished models. Barkorn's military life is indeed remarkable. 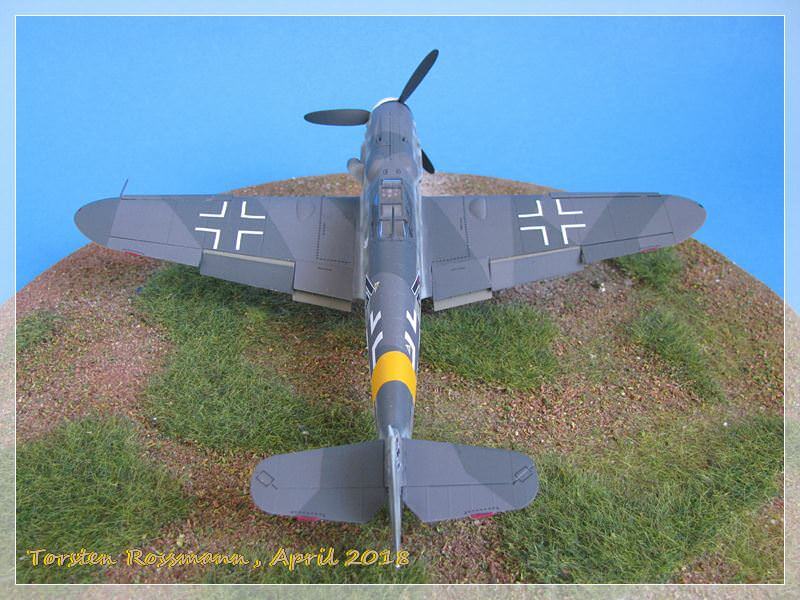 Beside being the 2. ranking fighter ace of WW2, he flew 1104 sorties in 5 years, was shot down at least 3 times and severely wounded in 1944, which kept him in hospitals for 4 months. He lost both brothers Helmut and Dieter and his father Wilhelm in the war and was ill and completely exhausted in the end. 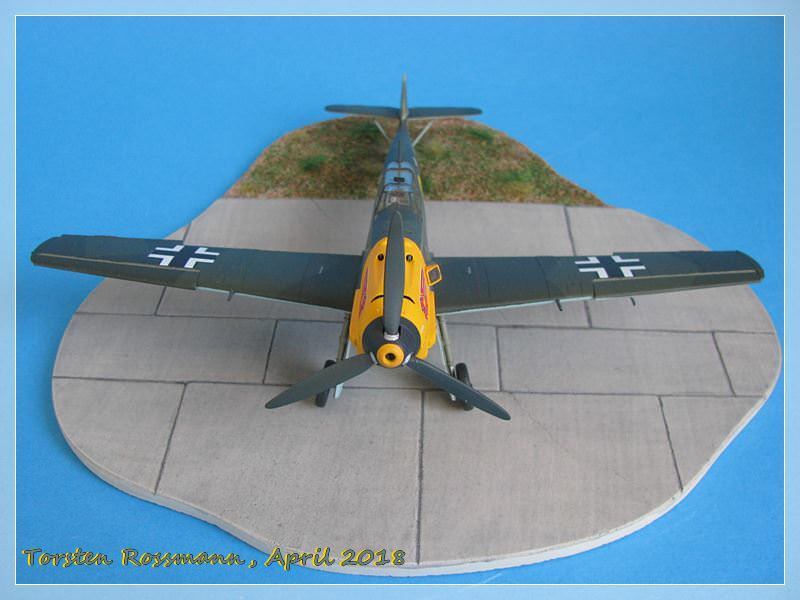 Being an aviator from head to toe he agreed to help building up the new Bundesluftwaffe in 1955, flying F-84 and F-104 and became CO of JaboG 31. In 1974 he finally retired for good. Sadly, he left us much too early when he died together with his wife in a car crash near Cologne in January 1983. The accident was not his fault. 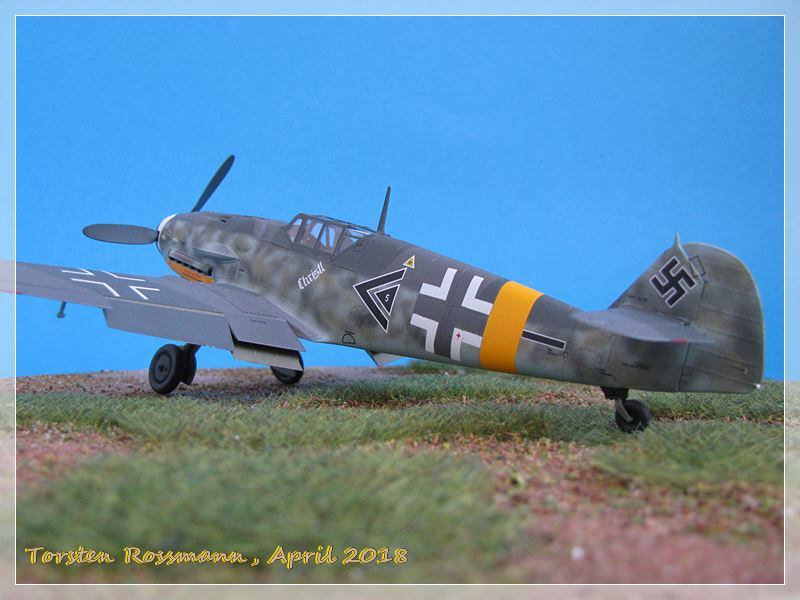 Two excellent 109's! 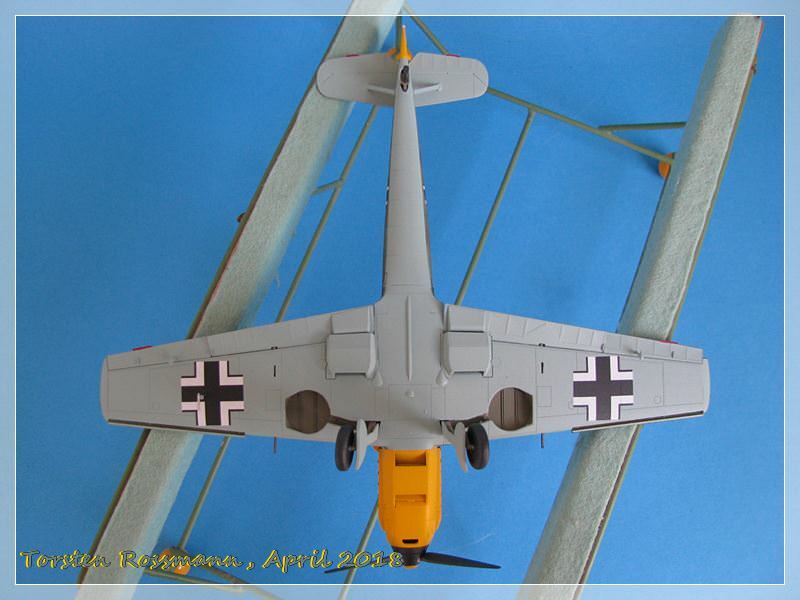 I am doing the Barkhorn G-6 as well, but waiting for new upper wings as mine were flawed. Another top quality build to your museum standards. The Biography of Gerd Barkhorn is as interesting as viewing your builds. Thanks for taking the time to share it with us. Thank you, Torsten! Same there! Are you going to make the whole Jagdgeschwader 52? .... most of the paints I have used here come from Vallejo. They have expanded their colour range recently and here I have used 71257 (RLM 76) for the underside, 71258 (RLM 74) and 71259 (RLM 75) for the upperside camouflage. 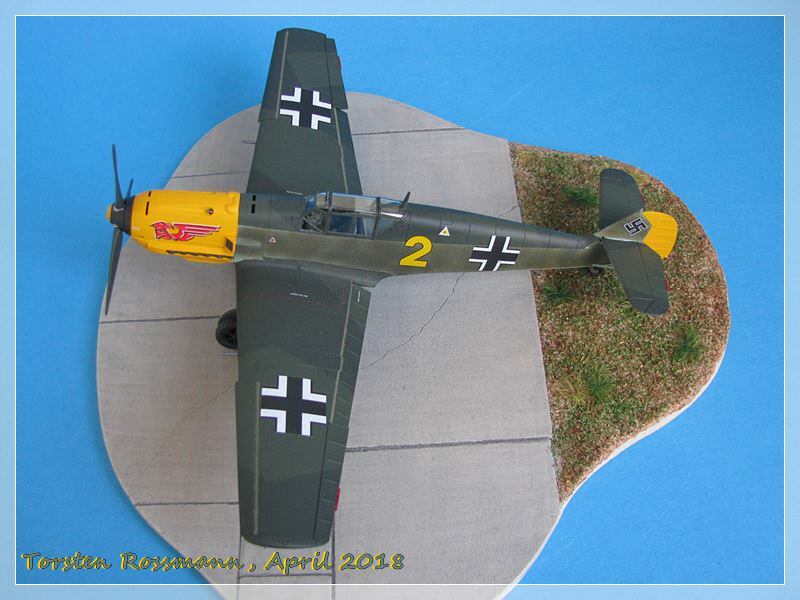 Yellow is again Revell 310, Black and White also are Revell Aquas. I have airbrushed the spinner spiral and used the Eduard mask EX500 for it. Black Green RLM 70 for the propeller is 71021 from Vallejo. They slowly become my favourite brand for painting. Opposite to the "Emil" above, I like the mottling on this bird. 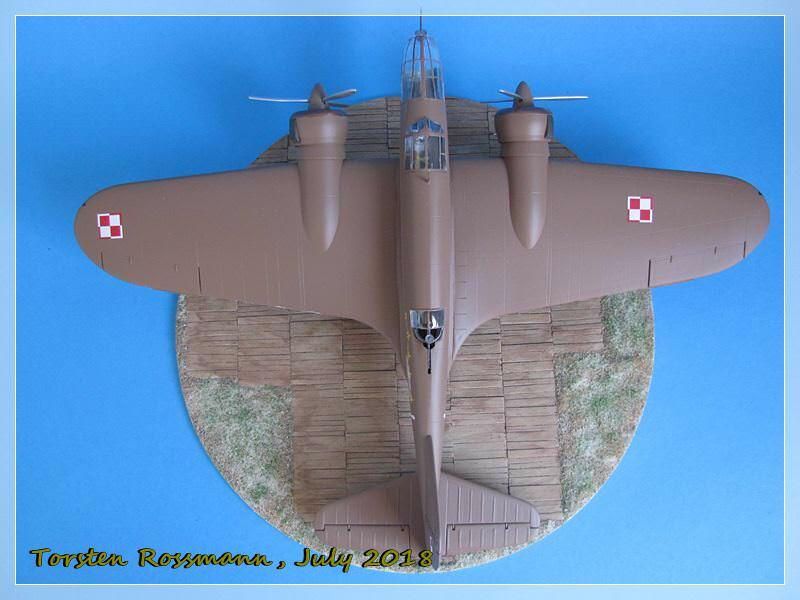 I have used highly thinned RLM 74, 75 and 02 sprayed with low pressure on the fuselage sides. 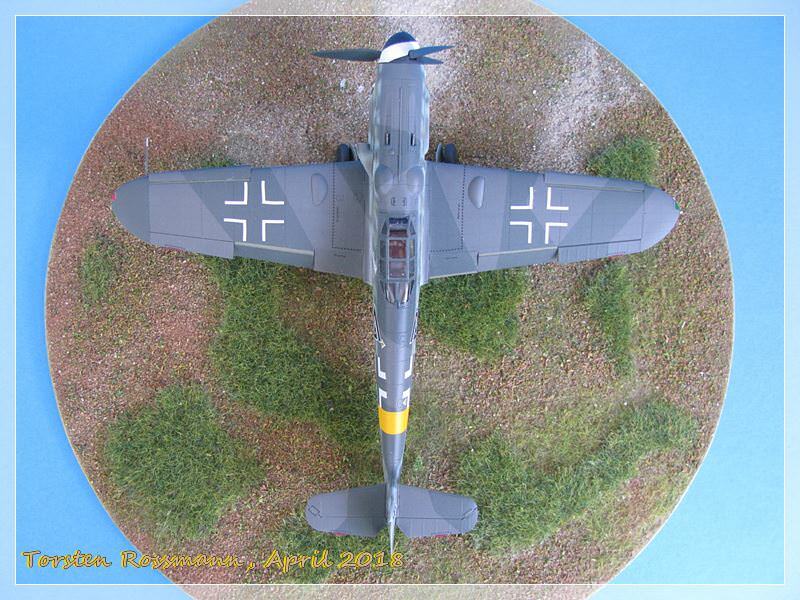 Some decals are taken from the kit, like all stencils and the Balkenkreuze. I had some problems with them because they are so extremely thin, that they warped, especially those on the wings. But with patience, some "loud speaking" and a lot of water I could save and bring them right in place. The special decals to build "Chevron Triangle 5" are again taken from that Cartograph decal sheet I have mentioned in the other posting. 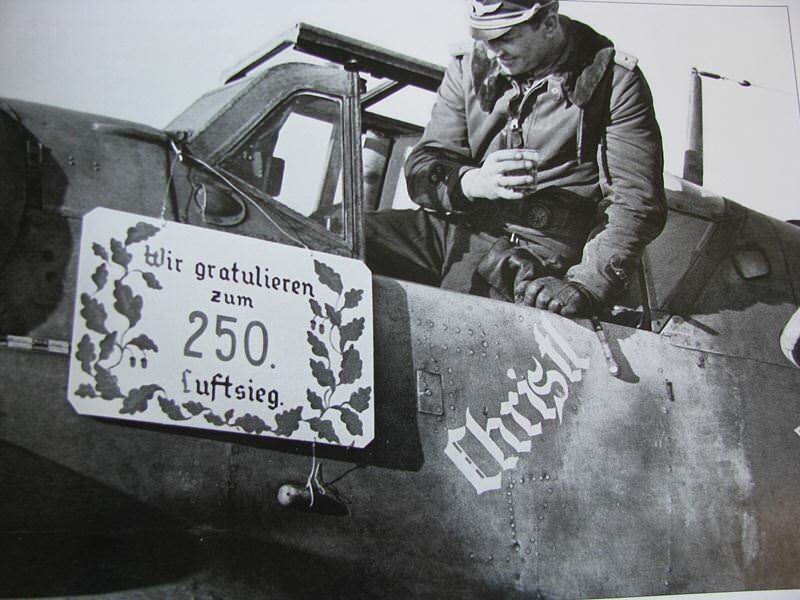 The name "Christl" under the left cockpit side refers to Barkhorn's wife Christa, whom he married in 1943. The couple had 3 daughters. 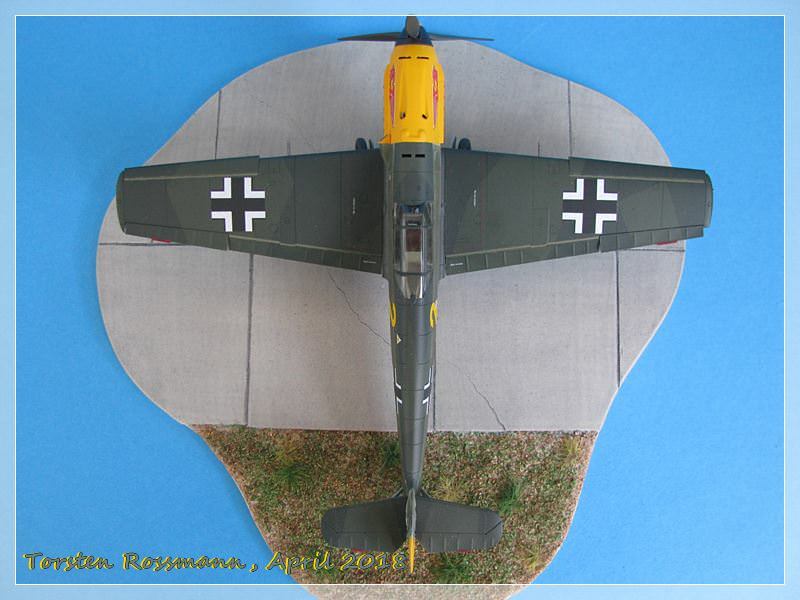 So, again I thank you for stepping in and walking around my latest Messerschmitt. Both "Barkhorns" can be seen on the next expos I attend in southern Germany and Switzerland. Happy modelling and have a nice Sunday! Thanks for your feedback, folks! Magnus, there's no need to worry. My production runs the whole year through, 12 months nearly every day. The only break is during my summer holiday. And be patient, I've been with 2 "Barkhorns" to the expo last weekend. I'm just sorting out the photos. I can probably show them here this coming weekend. Joel, you also don't need to worry. I'm just a part-time armor model builder. Over the past few years I've built only 8 AFV's, that's about 2 per year. Still have a Leopard 1NO (Norway) on my workbench, but their 4-tone splinter camo is a real challenge to bring on, so I give it time the whole year. And the little kitty in the other thread, starring at us, ready to jump is a Leopard, not a Jaguar. They are not easy to distinguish, the Leopard is slender and the Jaguar has a wider head. The easiest distinctive feature between them are the small dots in the blotches on the fur which the Jaguar has but the Leopard not, so this is a Leopard and this is a Jaguar. Both beautiful animals. During my trip in South Africa in 2009 I saw one Leopard at night. I was really excited. Gabriel, I wrote "unknown" in purpose, because in 1940 he was still "one of the many" and it took him 120 missions to score his first kill. It was never easy for him to score, the highest during one mission was 4, if I remember correctly. You're right, Hartmann and Barkhorn were outstanding aviators and had the luck to survive the whole tragedy. While Barkhorn spent only 5 months in american captivity, Hartmann was in Russia for nearly 10 1/2 years. But they stayed friends for nearly 40 years. The "dingy" episode was a life changer for the "unknown" Barkhorn. He and "Buby" Hartmann came to personify the "cerebral" pilots, that will never attack blindly and will never engage if the odds were against. And the final numbers speak! As for the build, I take the risk of being redundant: museum quality! 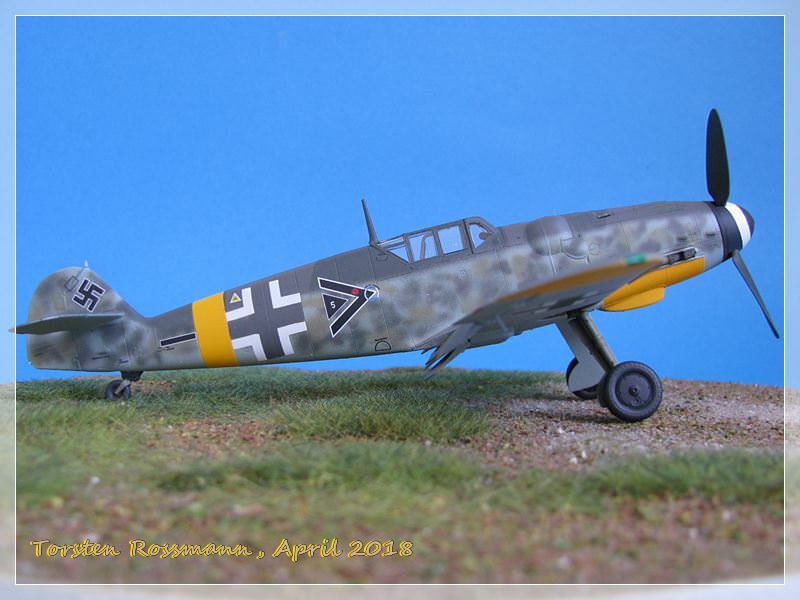 Your 109E-1 is certainly up to your usual high museum finishes, but for the 1st time I did notice that the Mottling camo was on the light side for a fresh factory paint job. Just figured that if you painted it, it had to be right. So now we know that you're actually human. 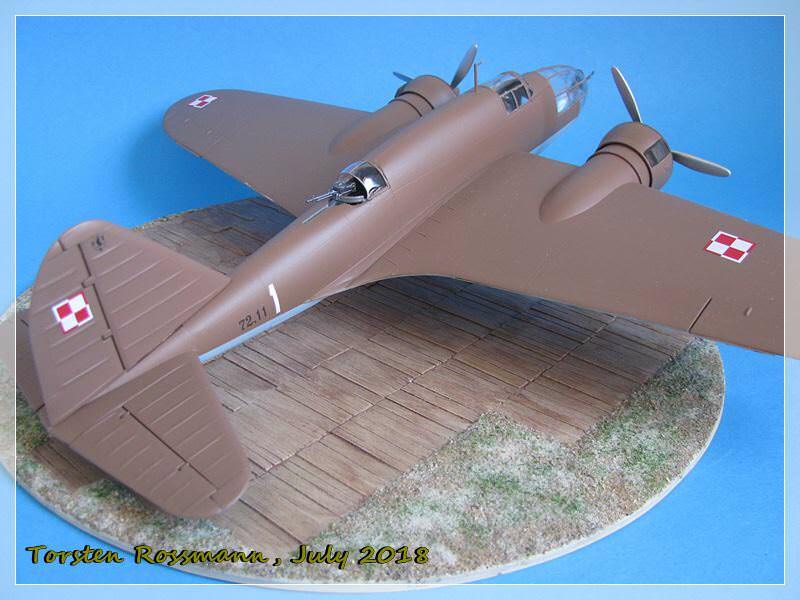 Checked out your Jaguar build (which I've previously seen), and it's certainly well done, with great paint modulation. Another museum quality build for sure. Torsten! I was a bit worried that your production line had ground to a halt ! A nice 109 and well done on that Leo, I sometimes start an armour build but I never get around to finish them ! Looking forward to more Barkhorn-builds!